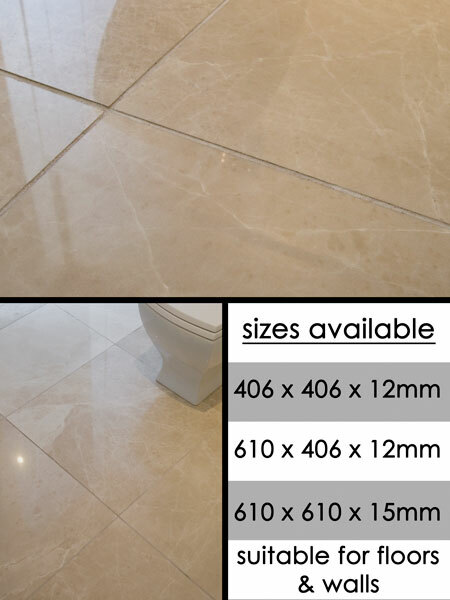 This warm cream marble flooring tile is polished to a high gloss finish producing a hard wearing surface. These cream marble stone tiles are idea for both contemporary and traditional settings, including kitchens and hall ways. * Polished cream marble tiles. * Floors tiles & wall tiles. * 3 x marble tile sizes.